Our Verdefioriè with standard graphic. 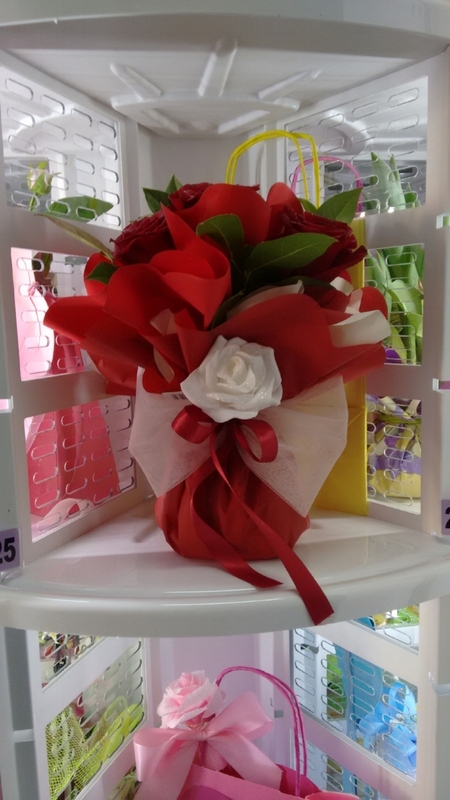 OPtional Our shelf vase for the water, so you can sell fresh flowers and bouquets without a particular packaging saving you time and money. Can sell from 18 to 24 products. Controlled cooling system, based on your products. Max. product size: Ø 20 cm, height: 24cm. 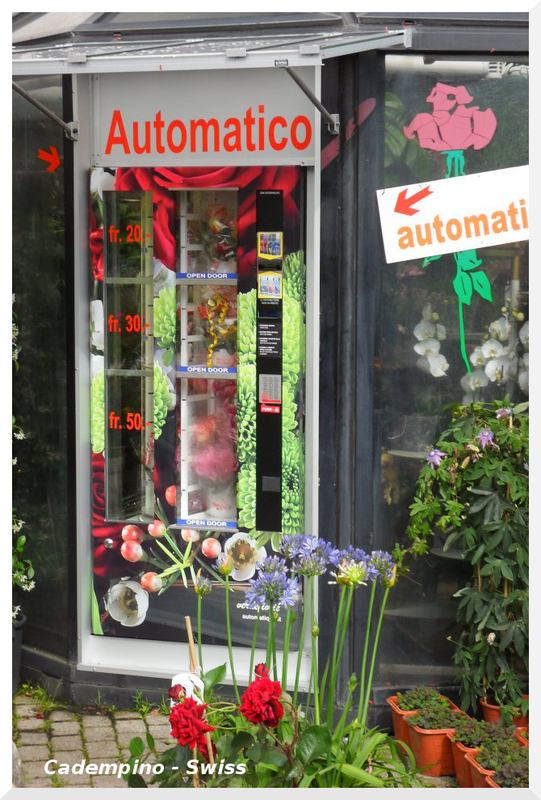 Verdefioriè is flower vending machine for florists and garden owners selling small to medium size bouquets and gift ideas. This model works best when placed in your shop windows facing the street or right outside as a second shop. In comparison with the Naturaè model, Verdefioriè has a compact size that fits perfectly in small shops. Naturaè is easy to use for everyone, requiring minimal maintenance from the owner. Florists always have the situation under control thanks to the GSM data transmission system. Troguth the mobile phone the owner can know the actual sales, manage the internal temperature, set when the lights are on or off and so on. A slot can fit a product with 24cm heights and 20cm diameter.